This past weekend, my cousin Claudia’s son Jack got married, but unfortunately we were not able to attend the wedding. However, we still somehow wanted to celebrate the occasion. As it turned out my Aunt Joyce and cousin Carol were also not able to attend so I thought we could all celebrate the joyous occasion together in spirit at my house for dinner. Since salmon was one of the options for the wedding dinner, we grilled a salmon and served it with lemony new potatoes, roasted asparagus, and garlic bread. But the fun part was we had an actual wedding cake without being at the wedding. 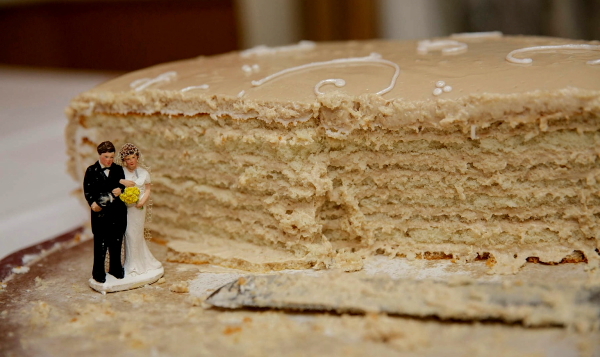 So here’s the story on the wedding cake. My daughter Kara was married last year in New Orleans. 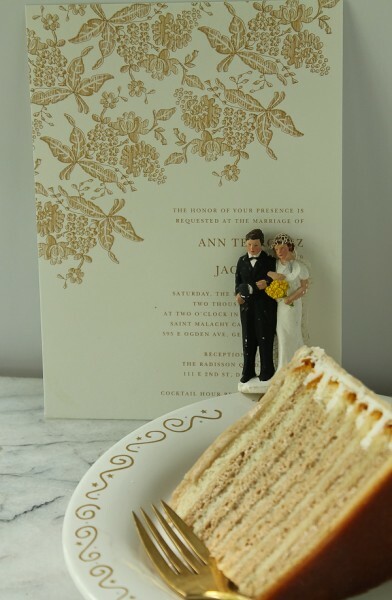 On their first anniversary this year, Kara and her husband shipped us a wedding cake exactly like the one at their wedding but a smaller version so we could celebrate with them even though we could not be there. We couldn’t eat all the cake and I froze the remainder. The cake has been frozen since April and I had no idea what it would be like now as it is very delicate with multiple layers, but we thought it would be fun to try it this weekend for Jack’s wedding celebration. Turns out the cake was wonderful! The cake (salted caramel flavor) is from Debbie Does Doberge based in New Orleans. They have other flavors and will ship their cakes all over the country. If you ever want a fabulous cake for a party or family gathering, I highly recommend one of the Doberge cakes, which are a tradition in New Orleans. Not only is the cake the same type as we had at the wedding but in the smaller version, the little wedding couple is the same too! 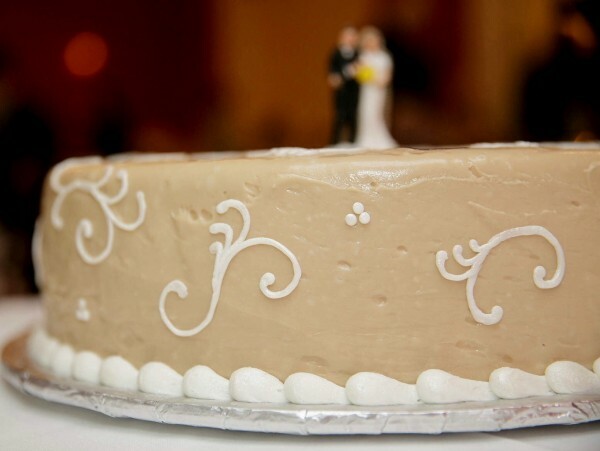 It is the same one my husband Bill and I used on our own wedding cake, and now it has been happily used once again for Jack and Ann’s cake. Those little people have made the rounds! 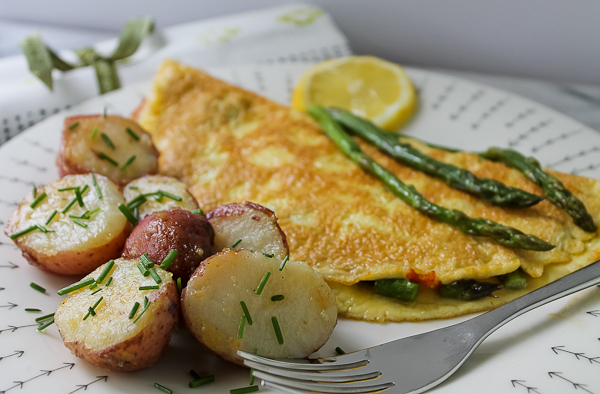 Yesterday morning, with leftover asparagus and new potatoes in the refrigerator, I decided that they also needed to be celebrated again, which meant asparagus and swiss omelettes served with some of the potatoes. Even though we missed being at Jack and Ann’s wedding, we enjoyed celebrating with them in spirit. We wish them a long and happy life together! Happy Birthday 2015 to my Kara!